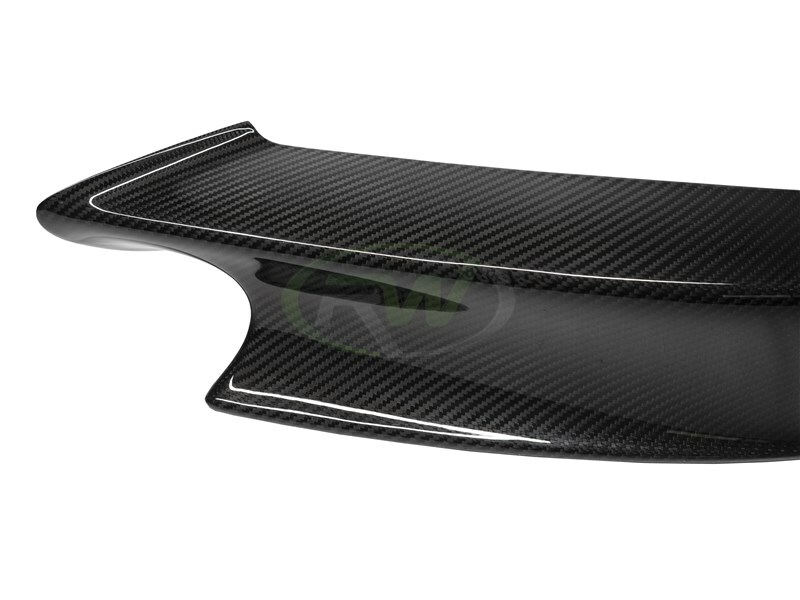 Update the front end look of your sedan, coupe, or convertible M3 with these Carbon Fiber Front Splitters. 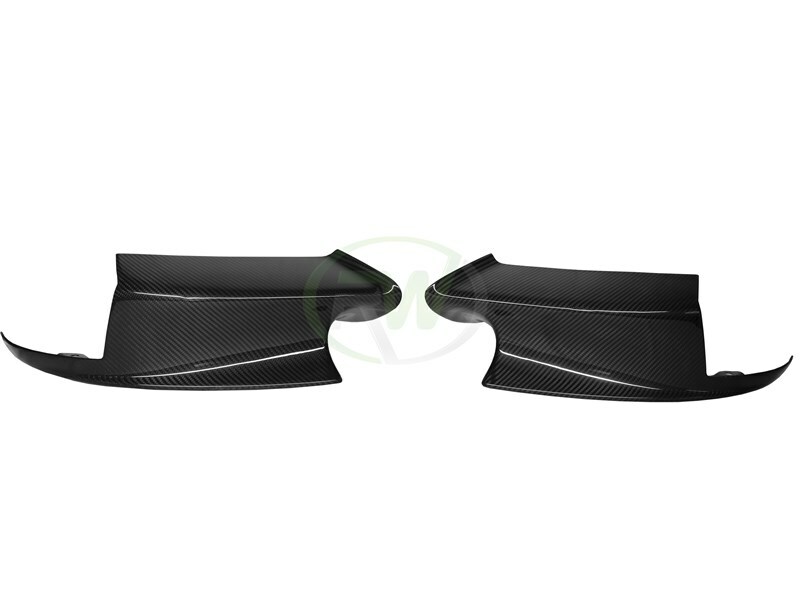 These splitters feature genuine carbon fiber construction and are finished with a clearcoat to minimize damage from road debris and prevent UV damage. Installation is 100% plug and play and they can be installed by anyone. 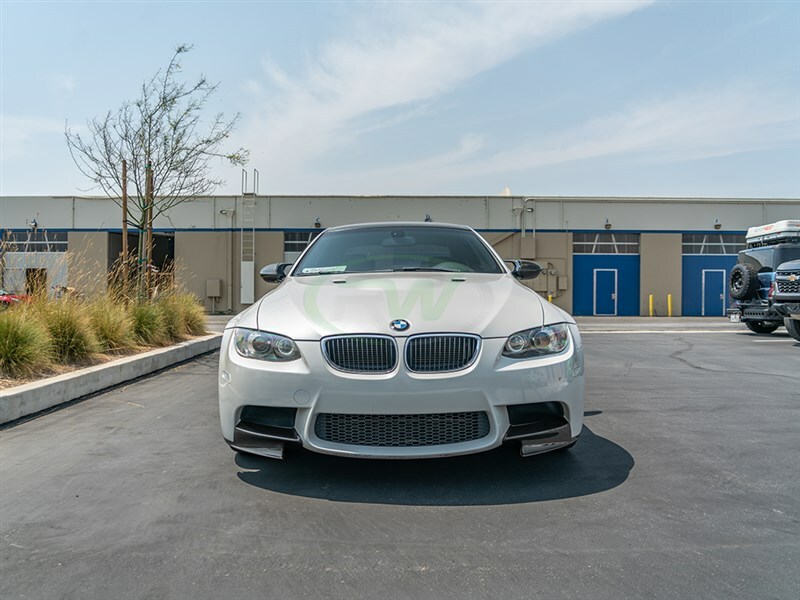 the E9X M3 Carbon Fiber Front Splitters go great on M3s that have the carbon fiber roof and other carbon fiber exterior styling products. 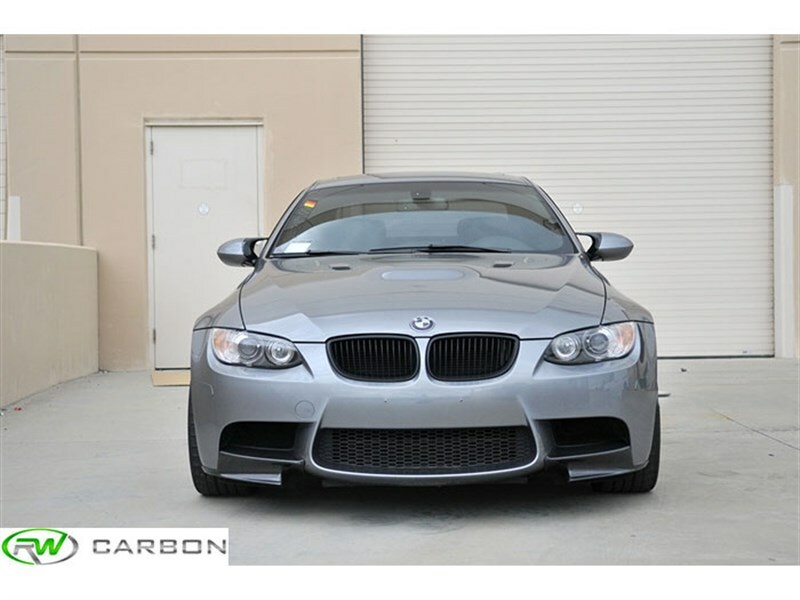 We construct our BMW E9X M3 Performance Style Splitters from vacuum formed carbon fiber. 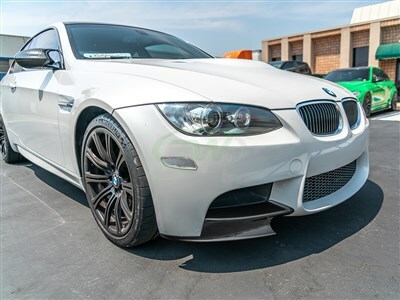 This produces a very thin and lightweight splitter that is as high quality in nature as your M3. 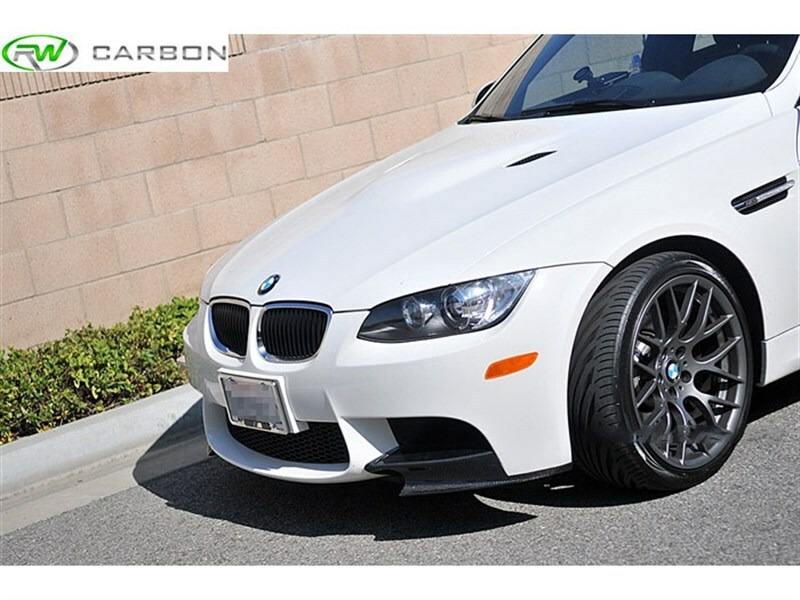 We recommend professional installation for the E92/E93 M3 carbon fiber splitters. Installation is completed via 3M tape and screws on the bottom. We know there are many companies out there claiming to have the best splitters for your E9X M3. At RW Carbon we take the time to quality control every single set of splitters that ship from our warehouse. When you order from many companies online they are shipping a product straight from overseas that has not been quality controlled. If you order one of these parts you could receive a part that is damaged, has scratches in the clearcoat, or overall poor carbon fiber construction. By choosing RW Carbon we make the promise to deliver you a consistent, quality product that is shipped from our Southern California location.